WASHINGTON — About 4 million Bumbo Baby Seats are being recalled after nearly two dozen reports of infant skull fractures. The Consumer Product Safety Commission says babies can wiggle out of the floor seats. 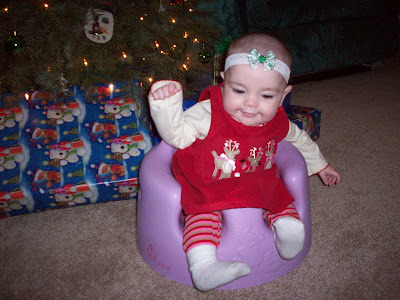 About 1 million of the molded foam seats were recalled in October 2007 for additional warning labels against placing the Bumbo seats on raised surfaces, such as tables or kitchen counters. Since the first recall, CPSC and Bumbo International of South Africa have learned of at least 50 incidents in which babies fell from Bumbo seats while they were being used on raised surfaces. CPSC says another 34 babies fell from the seats while they were being used on the floor or at an unknown elevation. In all, there were 21 reports of skull fractures to infants. In a statement, the company said it was adding a restraint belt to enhance the safety of children using the Bumbo seat. "The restraint belt will help prevent children from getting out of or falling from the seat when it is used as intended: on the floor with adult supervision and never on raised surfaces," said the statement. "The health and safety of children using the Bumbo Baby Seat are our top priorities." The Bumbo floor seats were sold at Babies R Us, Target, Walmart and other retailers nationwide from August 2003 through August 2012. I have a Bumbo and will be ordering this safety strap kit. Just wanted to put this out there in case you didn't know.